Make the most of your bathroom space to make it look and feel bigger. "Swimming pool-sized baths set in acres of pink marble exist only in the pages of romantic fiction, and given that they must take a small army of servants to maintain, it is probably just as well," exclaims Anoop Parikh, author of Making the Most of Small Spaces. And while most of us have to make do with a great deal less space, we can still maximise our bathroom space and turn it into a cleaner and more relaxing retreat. 1. Go for glass. Instead of using a shower curtain, opt for a glass enclosure for your bath or shower area. It will open up the shower area, and will make your bathroom look bigger. 2. Install recessed shelving. Adding recessed shelves is one way of creating storage without compromising the bathroom's square footage. 3. Get a mirrored cabinet. Cramped bathrooms call for practical storage spaces. If you're running out of storage space in your bathroom, install a mirrored cabinet so you can have your mirror—a bathroom must-have—and score an extra space for your toiletries and other essentials. 4. Change the door. When your bathroom door swings into your bathroom, it tightens the space even more. Consider going for a bi-fold door, sliding door, or one that swings outward. 5. Clear the floor area. Maximising the bathroom space is as easy as making sure your floor space is devoid of visual clutter and obstructions like weighing scales, trash cans, and laundry hampers. Look for a designer to style your small bathroom. 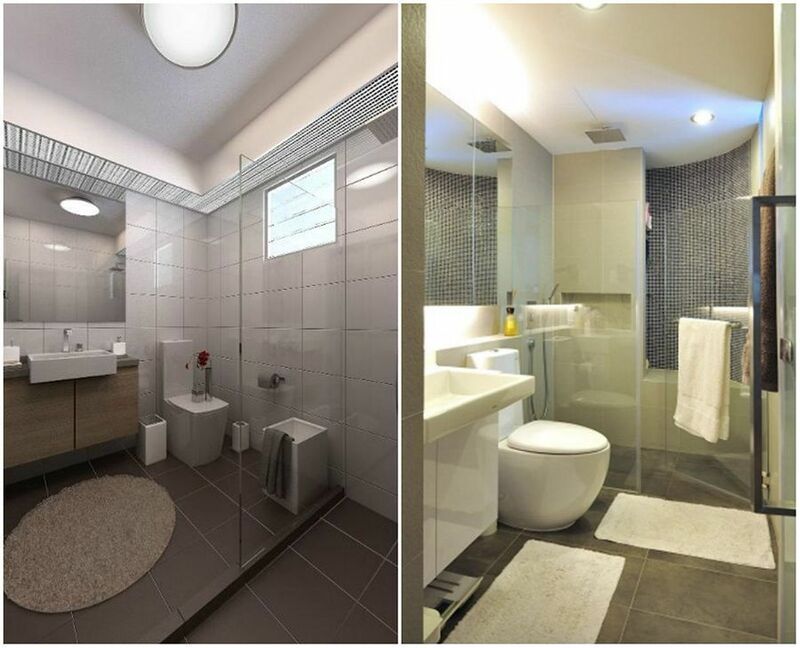 Share your bathroom reno projects and photos with us! Email us at hello@cromly.com.